Reel Deel’s Top Secret Brew | Simon Says… You really should drink this! ← M & S go Craft! For those of you who don’t know, Marcus Robinson, Reel Deel’s main man, originally hails from Yorkshire. The Yorkshire version of ‘Keep schtum sham’ is ‘Say Nowt’! This Stout is the third beer to be released in to the wild by Reel Deel. As always the artwork has the abstract feel of a classic jazz album cover. The beer pours a rich ebony colour and smells like charred dark chocolate. It is smooth on the palate with a slight fruitiness and has a dry bitter finish that leaves you wanting more. Another triumph from the Mayo brewery. 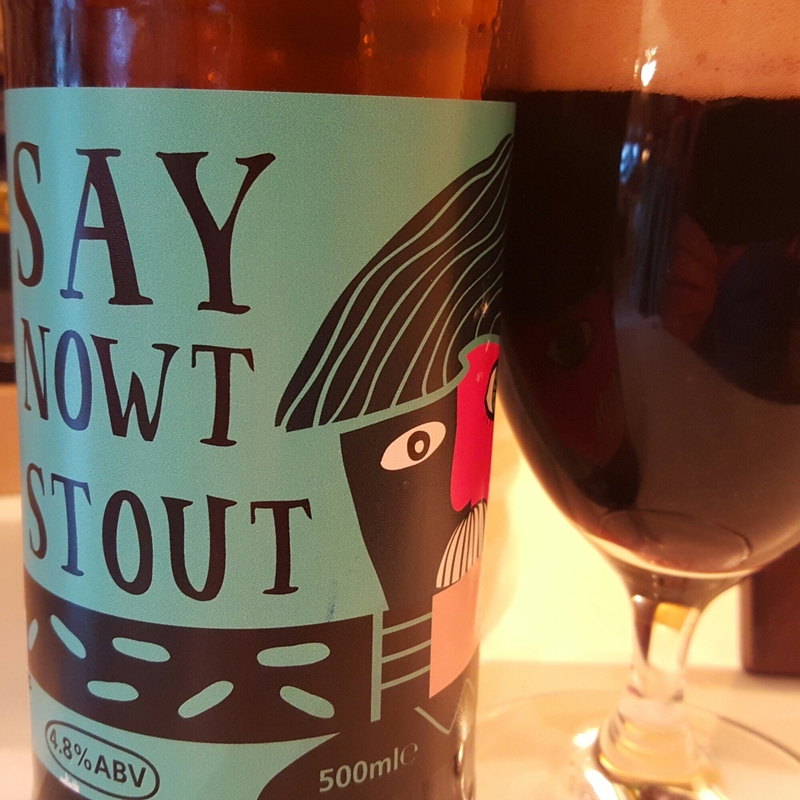 The label notes recommend having this beer with stew or some aged cheese…Having neither to hand I went with one of my wife’s warm chocolate brownies. The sweetness of the brownie provided a pleasant contrast to the slight bitterness of the beer. I picked up this bottle in Deveney’s, Dundrum and it should be fairly widely available. Sláinte! This entry was posted in Uncategorized and tagged Beer, craft beer, Ireland, irish craft breweries, mayo. Bookmark the permalink.